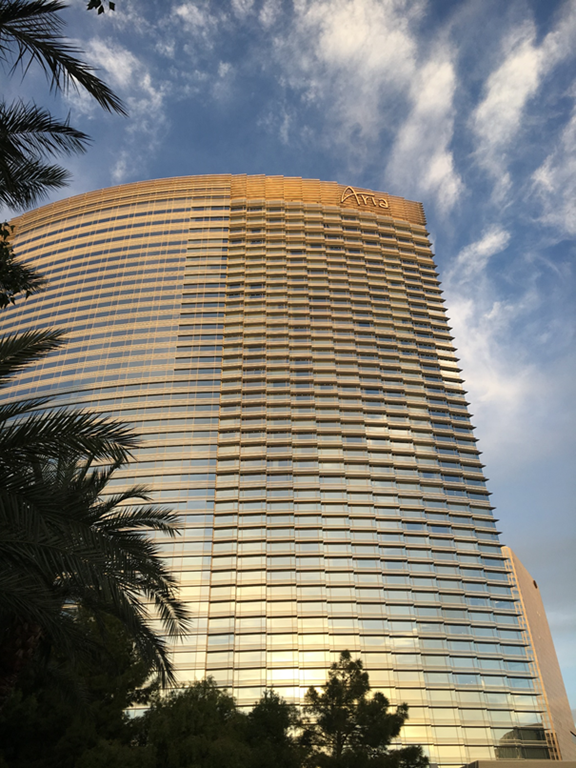 From October 10 until October 13 the annual IT/Dev Connection was held in the Aria Resort and Casino in Las Vegas, for the 15th time this year. 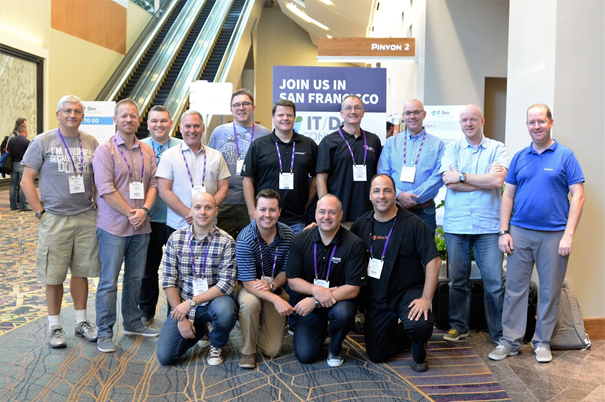 IT/Dev Connection is a relatively small tech conference with approx. 1000 ~ 1250 attendees (my guess). Because of this size the event is very accessible, attendees can approach speakers, vendors and sponsors easily without being too crowded. It happens regularly that a speaker is walking through the hallway or having lunch at the venue, and it being approached by attendees, this makes an event like this much fun, both for speakers as well as attendees. These numbers include the preconference workshops that were delivered on Monday, the actual break-out sessions were delivered on Tuesday till Thursday. Management using PowerShell, Deploying Windows 10, Desired State Configuration, Azure Web Services (AWS), Deploying Office 365 ProPlus in VDI Environment, Intune, Office Graph, SSIS Automation, Windows Server 2016, Exchange, SharePoint, Office 365, OneDrive for Business, SQL Server 2016, ASP.NET, C++ and CLR Memory Models, Delve Analytics, Azure Automation, Docker, Git scenarios, hacking Cortana, Azure PowerShell Automation, RMS DeepDive, Migrating existing apps to the Cloud, Protect your files and rest and in transit, design global voice solutions, Office 365 mergers and acquisitions, Autmating Linux configuration for Windows Admins, Writing desktop apps using web technologies, Dynamic optimization, PowerShell on AWS…. This picture was take just seconds before I started my “Migrate to Office 365” session on Tuesday. 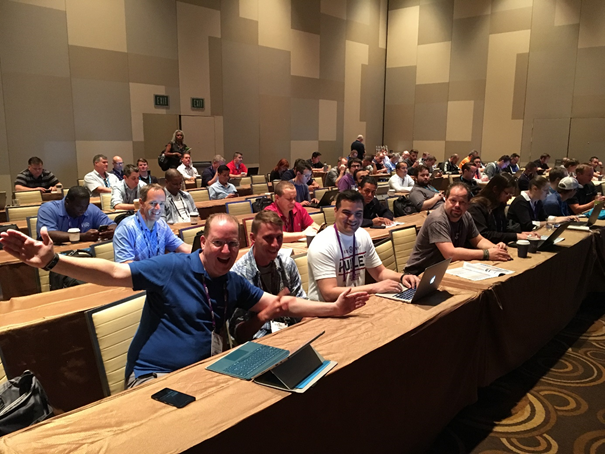 I also did a session about Message Security where I was talking about SPF, DKIM and DMARC. 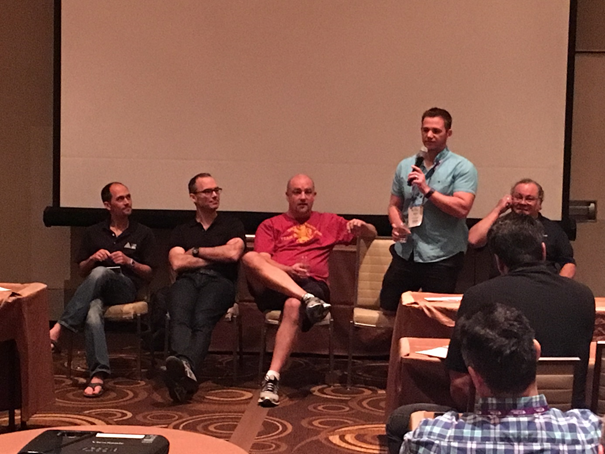 From left to right: Ross Smith IV, Jeff Mealiffe, Greg Taylor, Brian Day and David Espinoza. View on the Aria hotel from the pool aria. 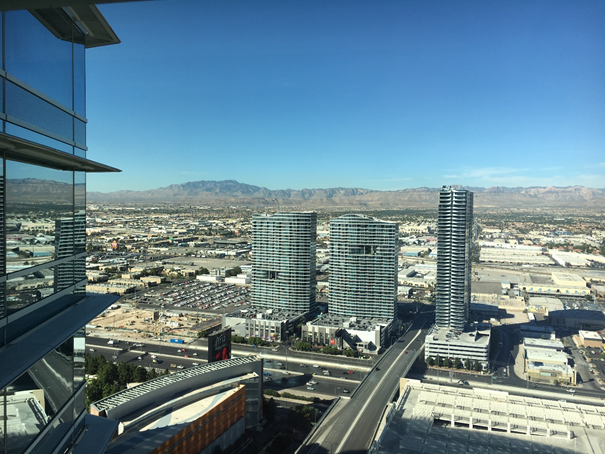 View on Las Vegas and the mountains from the 54th floor of the Aria hotel. 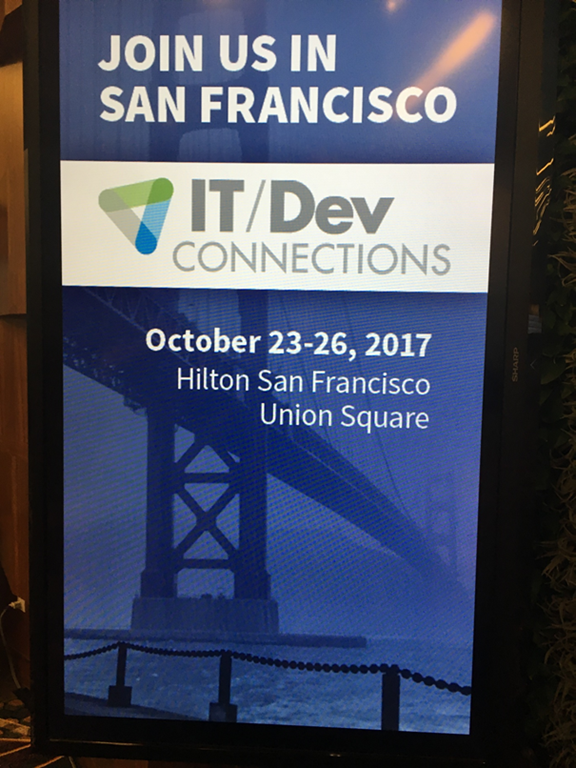 Hope to see you next year in San Francisco at IT/Dev Connections 2017!